My uncle, Cậu Bảy, is visiting us for a few months from Vietnam. He absolutely loves strawberries because they're not available in Vietnam and if they are, they're extremely expensive. I've planted strawberries in our garden but not enough to satisfy his cravings. He really enjoys the Farmers' market and we bought lots and lots of his favorite fruit over Memorial Day weekend. I transformed a few into delicious strawberry dessert cups flavored with Cointreau. 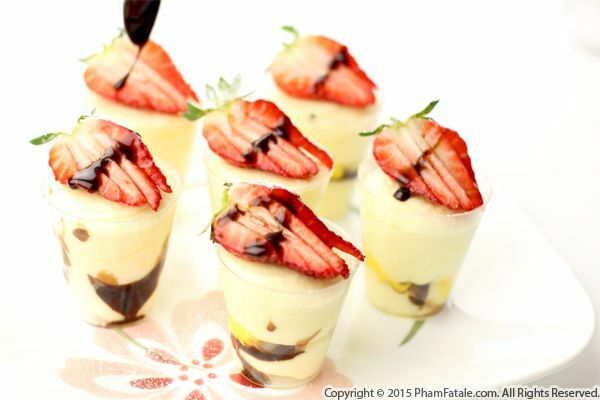 The cups consisted of shortcake, mousse, Cointreau-flavored custard strawberries and chocolate sauce. My husband Lulu has been reminding me incessantly about picking the Meyer lemons from our trees. I made a mental note but found my mind wandering and ignored his many warnings. And what he expected would happen eventually happened. The heavy weight from the lemons has completely broken and split in half our beautiful tree. It took a lot of time to heal the wound by trimming and smoothing the damaged wood to avoid and seal out excess moisture. I had to remove the tree bark by cutting a diamond shape around the wound to help it to stay dry and prevent any decay or disease. I spent so much time on the tree and had to make so many trips to the hardware store, I wish I had picked the lemons sooner! Seeing the severely damaged limb broke my heart, and I was also left with tons of Meyer lemons. I finally prepared many jars of lemon curd and turned a few into mousse. 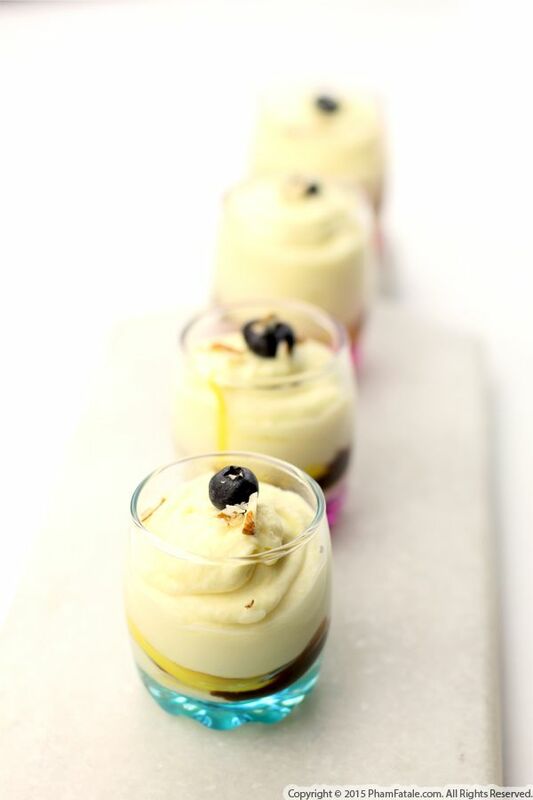 The result was these beautiful lemon parfait cups. 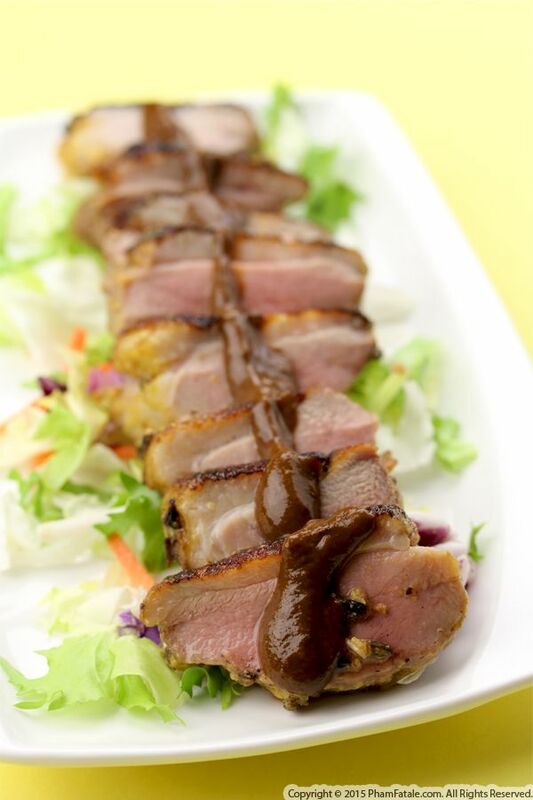 I jazzed them up with blueberry chocolate Amaretto sauce. In the end, I'm glad I undertook this epic challenge; it was a great opportunity to turn it into something positive. Page 131 of 132 pages.